Shout! Factory has just unveiled details about the upcoming release of the 80s action thriller Cobra, bringing the Sylvester Stallone movie to Blu-Ray Disc as a Collector’s Edition in January. 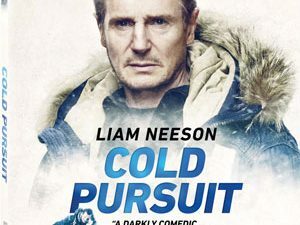 Lt. Cobretti (Sylvester Stallone) is a one-man assault team whose laser-mount submachine gun and pearl-handled Colt .45 spit pure crime-stopping venom! Sylvester Stallone stars as Marion Cobretti. But to those who know him—and those who wish they didn’t—he’s Cobra, a street-tough, big-city detective who does jobs nobody else wants or dares to do. Director George P. Cosmatos teams up again with Stallone for this thriller pitting Cobretti against a merciless serial killer. The trail leads to not one murderer but also an army of psychos bent on slashing their way to a “New Order”—and killing a witness along the way. Fortunately, her protector is Cobra, a man who delivers vigilante justice like no other! The release will feature a new transfer from a new 2K scan of the original film elements and will also offer a series of brand new Interview Featurettes, such as Stalking and Slashing, an interview with actor Brian Thompson, Meet the Disease, an interview with actor Marco Rodriguez, Feel the Heat, an interview with actor Andrew Robinson, Double Crossed, an interview with actress Lee Garlington, and A Work of Art, an interview with actor Art LaFleur. A Commentary Track by director George P. Cosmatos is also included, along with a Vintage Featurette, Trailers and a Still Gallery. 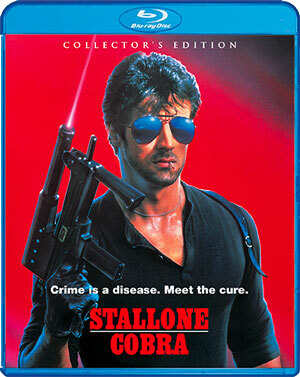 The Cobra: Collector’s Edition will arrive in stores on January 22 for $29.99.